The Department of Kinesiology and Health Education offers a Bachelor’s of Science (B.S.) in Athletic Training for those interested in pursuing a career as an athletic trainer. The Athletic Training Program is also appropriate for students interested in continuing their education in medicine, sports medicine, physical therapy, physician assistant, or other health care professions. Pursuing additional coursework or another professional degree is necessary to practice in these fields. Our program involves both classroom and laboratory instruction with hands-on clinical experiences alongside professional athletic trainers and world-class athletes. Students will also work with a variety of patients and other healthcare professionals (physicians, physical therapists, chiropractors, massage therapists, etc.) as they advance through the program. All students interested in our program must complete specific prerequisites including a year of directed observation during which they observe and learn from athletic trainers. Please note there is a separate application for admission to the Athletic Training Program upon completion of the directed observation year. After graduation, students will be eligible to sit for the exam to become Certified Athletic Trainers (ATCs) and Licensed Athletic Trainers (LATs). The Athletic Training Program is accredited by the Commission on Accreditation of Athletic Training Education (CAATE) through the 2021-2022 academic year. 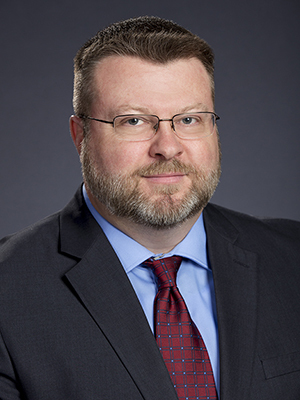 Looking ahead, the National Athletic Training Association’s Strategic Alliance has determined that the entry-level degree for athletic training should move to a master’s degree. This will result in the phasing out of CAATE accredited undergraduate athletic training programs. 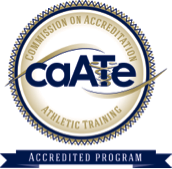 The last semester that undergraduate students can be admitted to a CAATE accredited undergraduate athletic training program is the fall of 2022. We are working on plans to transition to a master’s degree program, but expect to maintain the undergraduate program for the near future. We will be admitting students into the undergraduate ATP until further notice.